These two cars have a real Luke/Princess Leia thing going. Could it be they have the same evil father? Perhaps, and if so, he must be some special kind of ugly. 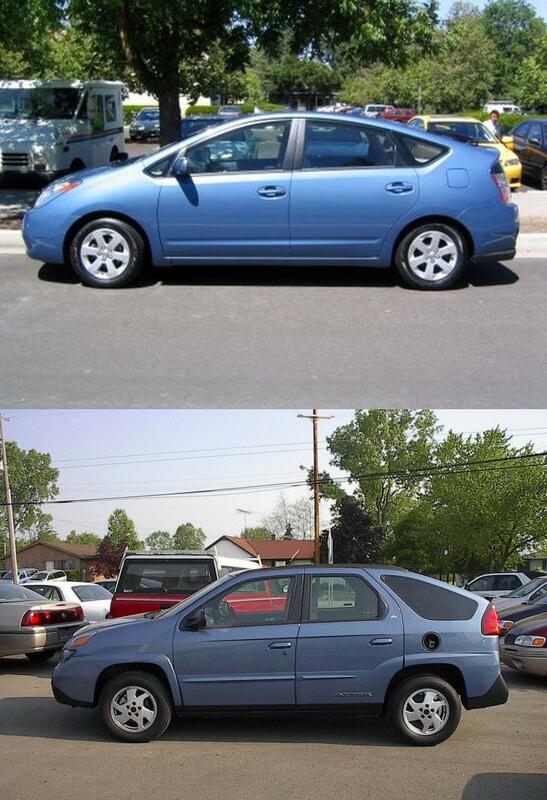 This entry was posted in Items of Interest (Not for sale), Quick Hitter and tagged Aztec, Prius, Prius Aztec, Separated at birth, So Ugly It's Cute...not really though, Totally looks like. Bookmark the permalink.